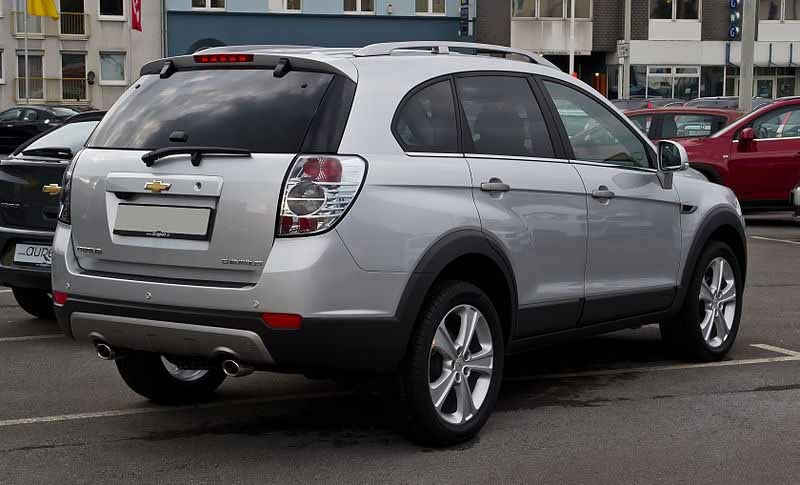 For the "Chevrolet Captiva Sport" sold in the Americas, see Opel Antara. The Chevrolet Captiva is a sport utility vehicle (SUV) that was developed by the South Korean manufacturer Daewoo, and has been sold by Chevrolet since 2006. It is a crossover and straddles the compact and mid-size SUV segments. It utilises the GM Theta platform and derives from the Chevrolet S3X concept car revealed in 2004. The Theta platform also underpins the Opel Antara, the Captiva's mechanical derivative also built by Daewoo. 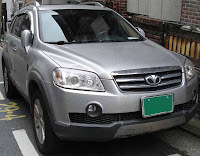 Sold internationally as the "Chevrolet Captiva", South Korean-market cars were badged Daewoo Winstorm up until 2011, when the international name was adopted. 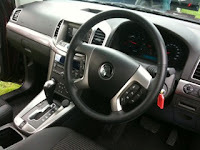 Australasian-specification models are badged Holden Captiva. 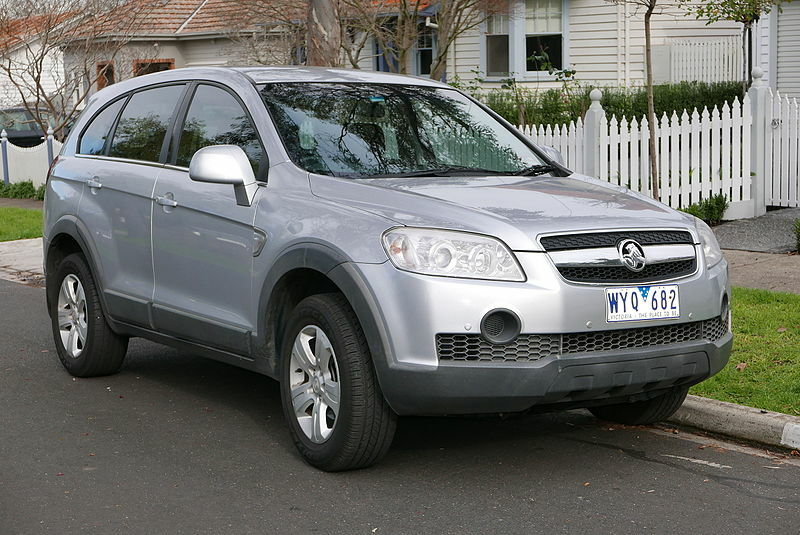 Designated C100 by Daewoo and CG in Holden's terminology, the Captiva was launched in 2006. 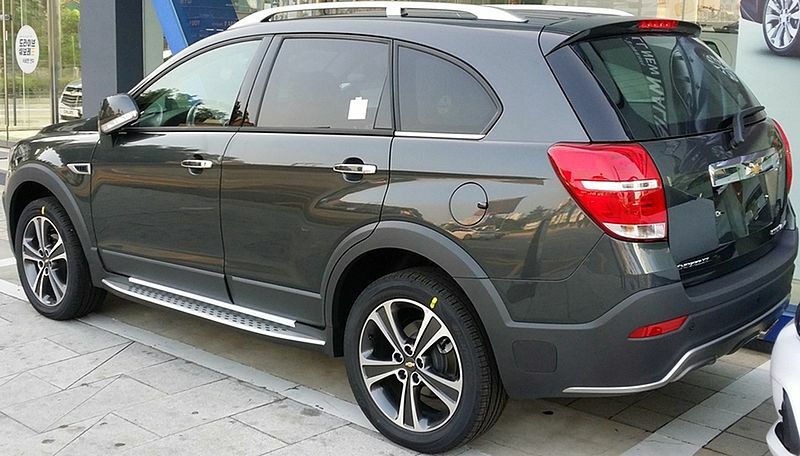 Styling of the Captiva was inspired by the 2004 Chevrolet S3X concept car. The S3X concept was developed by GM Daewoo's design center in Bupyeong-gu, Incheon and is based on the GM Theta platform. It premiered at 2004 Paris Motor Show. Another concept car, by Daewoo, the Chevrolet T2X premiered at the 2005 Seoul Motor Show with its design was based on the S3X, using a shortened platform. The T2X is referred to as a sport utility coupe, accounting for its rear hinged doors, lack of conventional B-pillars, and shortened wheelbase—features that were first revealed on the "Daewoo Oto" (later renamed "Daewoo Scope") concept at the 2002 Seoul Motor Show. Production was slated for late 2006, but as of 2009 no further announcement has been made. For the Captiva, the production version of the S3X, both five- or seven-seat configurations are available. Standard safety features include: anti-lock brakes, electronic stability control (ESC), front seatbelt pre-tensioners and force limiters, and driver and front passenger airbags. Side curtain airbags are standard on higher luxury level variants in some markets. In crash safety tests conducted by Euro NCAP, the Captiva was given a four out of five star crash rating. The results from the test were helped by the use of high-strength steel used in the body shell which was designed to spread crash forces over distinct load channels, therefore ensuring the safety of the occupants within the safety cell. The vehicle's optional active all-wheel drive system is fully incorporated with the ESC and anti-lock braking systems, consequently increasing car handling and control. When the vehicle detects a loss of traction, the all-wheel drive mode is activated automatically. In ordinary driving situations, only the vehicle's front wheels are employed. In March 2010, GM announced a recall of 45,957 Captiva and Daewoo Winstorm models—those produced between 1 April 2006 and 31 December 2007. The recall arose due to an unspecified defect with the steering system. 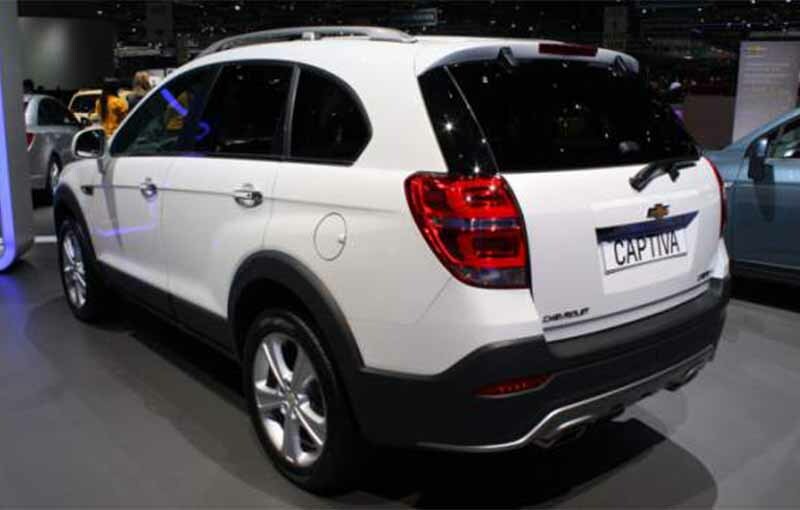 A revised Captiva range was released in the second quarter of 2011. The facelifted Captiva features a new front fascia reminiscent to that of the Chevrolet Aveo (T300). Other noticeable cosmetic differences comprise LED turn signals on the door-mounted mirrors, redesigned wheels and revised side air vents. A re-tuned suspension, four new engines and two new transmissions will also be featured with the revisions. 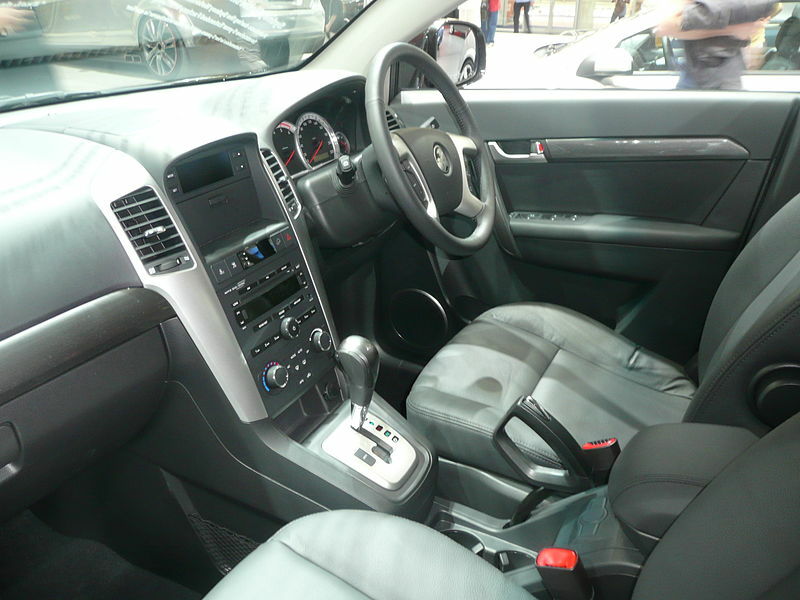 The Captiva is powered by the Australian (Holden)-built 3.2-litre Alloytec V6 engine mated to a five-speed automatic transmission, featuring Active Select. This engine is also shared by the Captiva's Opel Antara derivative, which utilises a different design, but shares the same underpinnings and powertrain components. A four-cylinder VCDi common rail turbodiesel engine, co-developed with VM Motori was introduced into the range. South Korean cars were branded Daewoo Winstorm from 2006. From 2008 until early 2011, the Opel Antara became available in the Winstorm range, as the "Daewoo Winstorm MaXX". As part of GM's strategy to phase out the "Daewoo" brand worldwide, since early 2011 the Winstorm has been marketed under the global Chevrolet Captiva name in South Korea. This rebranding came after the March 2011 renaming of GM Daewoo to GM Korea. At the same time, the Winstorm MaXX disappeared without a Chevrolet-badged equivalent (except Latin America and South America which is sold outside of South Korea). 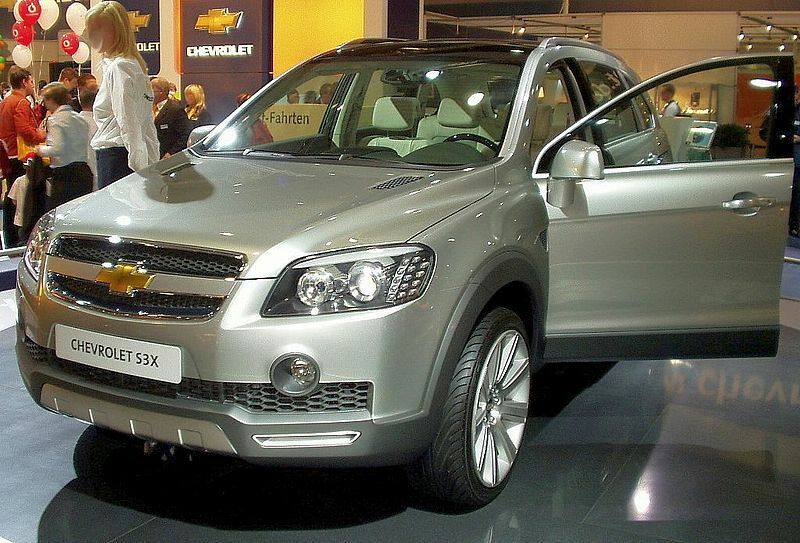 The Chevrolet Captiva was launched in Vietnam during 2006. The Captiva in Vietnam is manufactured in complete knock-down (CKD) form by Vidamco (GM Vietnam), with 20 percent local parts content. From 2006 to July 2009, 8,500 Captivas have been sold in Vietnam. In Thailand, Captivas have been produced at the GM facility in Rayong since 2006. Chevrolet Thailand offered the Captiva in LS and LT variants, with engines comprising either the 2.4-litre gasoline or 2.0-litre diesel units. Captiva also featured the availability of self-levelling rear suspension, electronic stability control, automatic headlamps and rain sensing wipers. 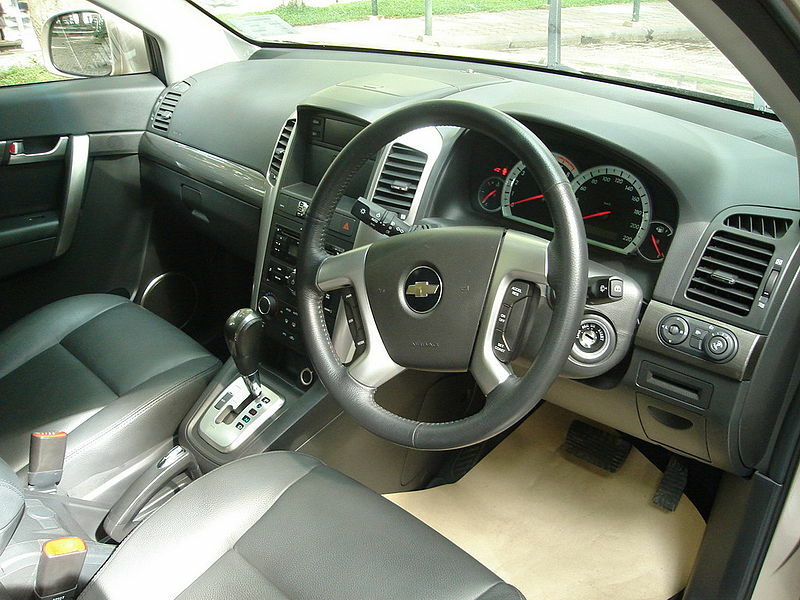 Late in 2010, Chevrolet expanded the diesel line-up to include a mid-range LSX and flagship LTZ model. At the same time, Captivas fitted with the 2.4-litre gasoline engine benefitted from E20 ethanol support and increased power to 170 PS (125 kW). On 23 June 2011, Chevrolet Thailand unveiled the updated the Captiva using the new 2.4-litre petrol engine with support of E85 ethanol fuel. New features include an electric parking brake, climate control commands on the steering wheel; and later, the updated 2.0-litre diesel engine rated at 120 kW (163 PS). 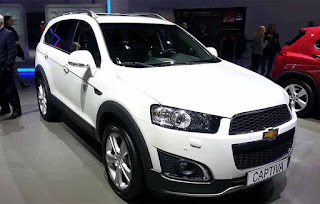 The Captiva entered the Chinese market in early November 2007. The only available engine is the 2.4-liter Ecotec inline-four engine mated to a six-speed automatic. GM launched the Chevrolet Captiva in Japan on 30 July 2011, the first GM model to be released there since the company's Chapter 11 reorganisation in June 2009. 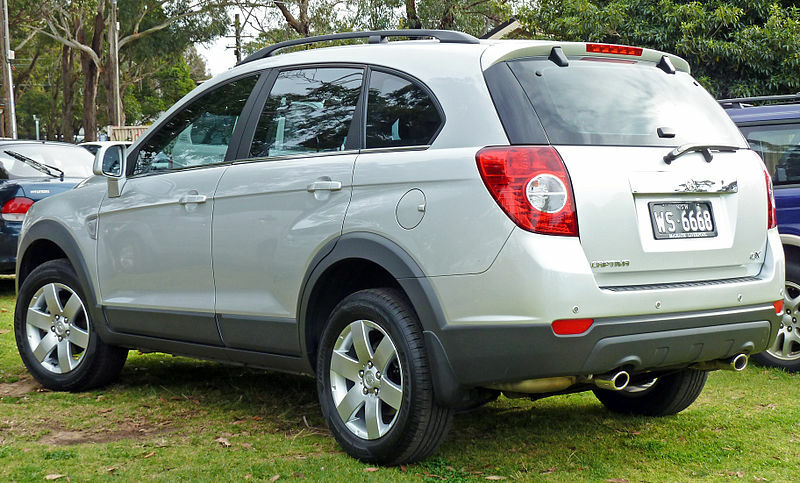 Holden in Australia and New Zealand have sold the vehicle under the "Holden Captiva" name since November 2006, after announcing the model the previous September. The Captiva launched with the 3.2-litre V6 and five-speed automatic transmission, but March 2007 saw the addition of the 2.0-litre diesel engine with five-speed manual or optional automatic. 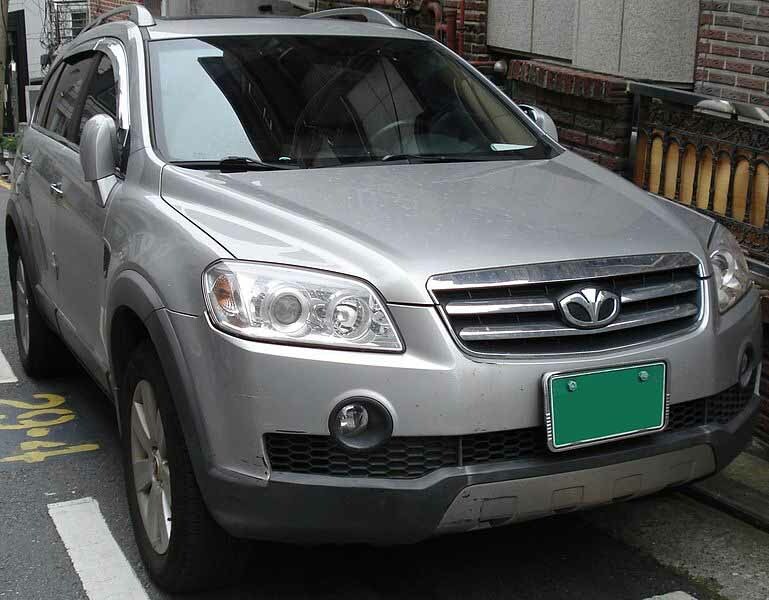 While initially manufactured in South Korea, production was temporarily shifted to Thailand from September 2007 until early 2008 while GM Daewoo upgraded its production facilities in South Korea to cope with global demand. Specification levels were SX, CX, and LX, with a range-topping Captiva MaXX variant offered, although this was a rebadge of the closely related Opel Antara. The Antara-derived MaXX remained on sale in Australia until 2008, with New Zealand sales continuing on until the end of 2009. 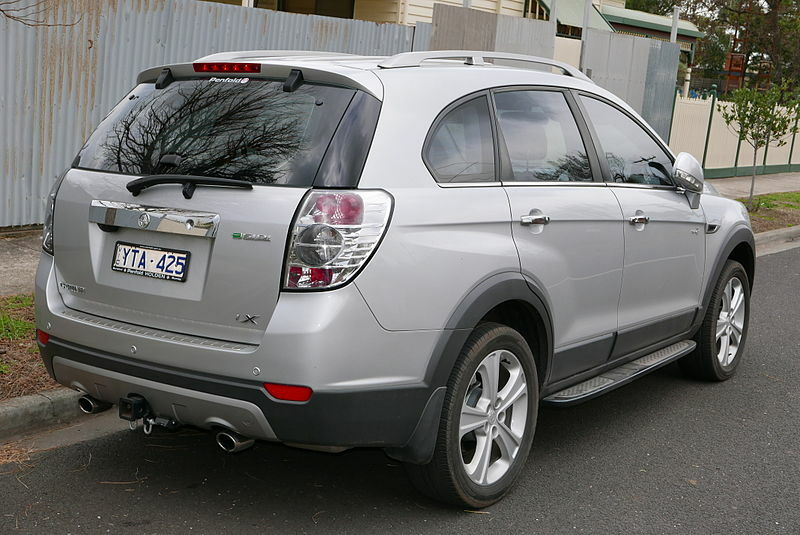 When Holden resurrected the Antara-based model as a price-leading five-seater "Captiva 5" in December 2009, the seven-seat only Chevrolet-based models were renamed "Captiva 7". Revisions to the Captiva 7 range were announced in February 2011, designated "Series II", with a March on-sale date. Changes included the adoption of the facelifted front-end fascia, as applied to Chevrolet versions, but with a Holden-specific grille and air intake. New design alloy wheels, "Altezza" tail lamps, and other trimmings feature, as does a revised interior centre console. Equipment-wise, the revised centre console houses a new 7-inch multifunction display in LX trim, which incorporates satellite navigation and a rear-view camera. Revised powertrains also feature on the Series II. The base setup is the SX trim with the 2.4-litre petrol utilising front-wheel drive; the 2.2-litre diesel is optional. The CX and LX variants add all-wheel drive and offer the 3.0-litre V6 as standard, with the 2.2-litre diesel remaining optional. All three engines are paired with a six-speed automatic. Holden announced a minor model year update in July 2012, the centrepiece of which is the addition of flex-fuel capability for both petrol engines, thus allowing them to accept E85 ethanol fuel. A cut in the official combined fuel consumption of the 3.0-litre by 10 percent has also been achieved, with smaller gains for the 2.4- petrol and 2.2-litre diesel engines. At the same time, the base SX received standard rear parking sensors and the range-topping LX comes additionally equipped with heated front seats plus front park assist. In the Middle East, the Captiva launched with two basic trims: one with the 2.4-liter gasoline engine and another with the 3.0-liter V6. Both trims are seven-seaters and offer front-wheel drive. The new 2016 Chevrolet Captiva was unveiled at the Dubai International Motor Show 2015 on November 10, 2015. 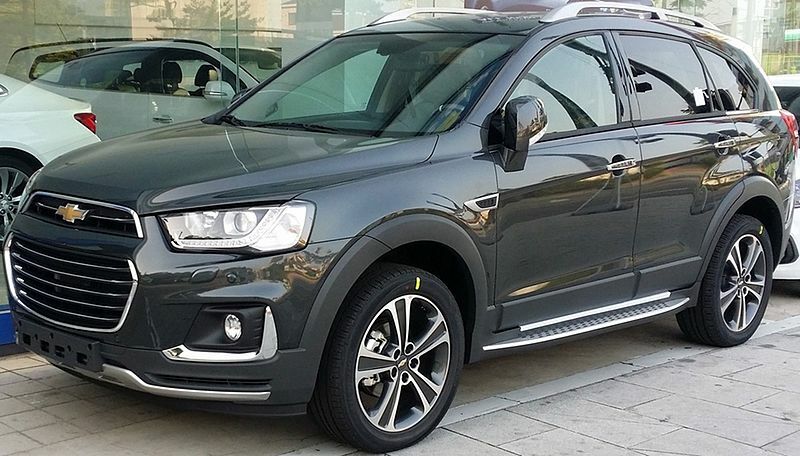 GM Thailand has also unveiled the facelifted Chevrolet Captiva at the 32nd annual Thailand International Motor Expo on December 1, 2015. 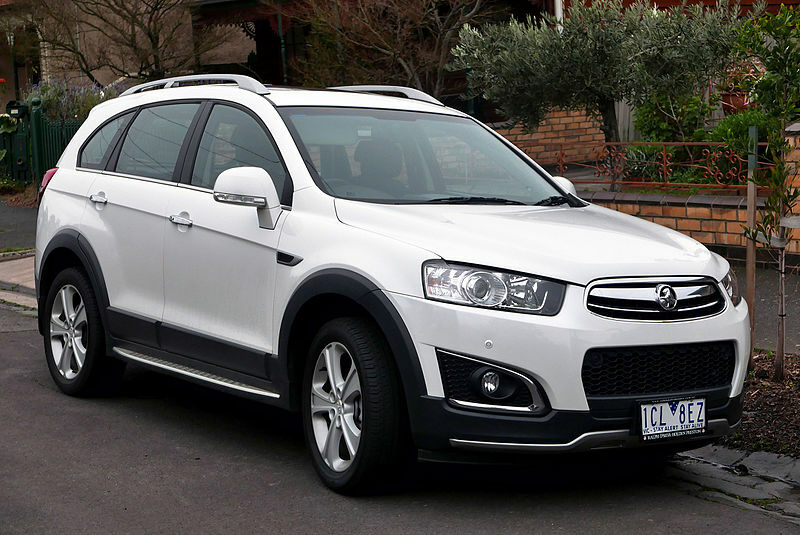 A facelifted Holden Captiva was also unveiled a day later in Australia. 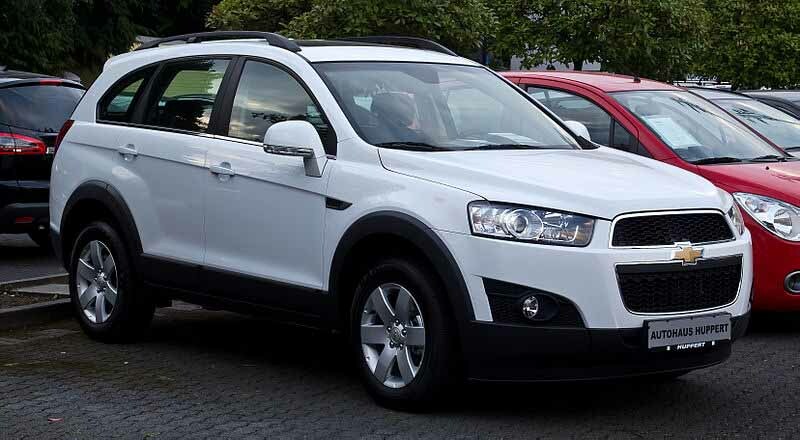 The new Captiva, which is now referred as a second generation, for almost ten years after its original launch in 2006, has redesigned with the new LED headlamp, grille, bumper and a redesigned dashboard but retained its body and dashboard panels. The facelifted Captiva was also launched in Indonesia at the 2016 Gaikindo Indonesia International Auto Show in Jakarta on August 11, 2016. Last updated 20 January 2017, at 03:35.